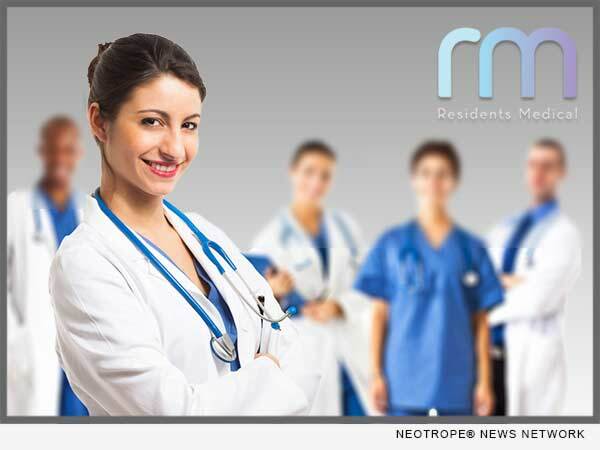 Home CA Business March 2018 is Residency Match Month and Residents Medical Candidates Achieve Medical Residency across U.S.
LOS ANGELES, Calif. /California Newswire/ — Every March dozens of Residents Medical medical residency candidates find out if they attained their much-desired medical residency. There is no other more anticipated event for medical school graduates than the National Resident’s Matching Program (NRMP) Match and Supplemental Offer and Acceptance Programs (SOAP). More than 50,000 applicants apply annually, but more than 5,000 don’t make the cut. Residents Medical works to ensure their medical residency candidates achieve their dream residency. Without completing a medical residency, a medical school graduate is unable to become a board-certified physician and practice medicine. Year after year these thousands of “unmatched” residency applicants have compounded into a residency bottleneck. There are just too many applicants, and not enough training positions in teaching hospitals. The anomaly of it is that throughout America, especially in low-income and rural areas, there’s a severe doctor shortage. In step with March’s run for medical residency, Residents Medical’s medical residency candidates completed a rigorous preparatory process, and after successful completion, interviewed for ACGME Accredited Residency Positions. The results were impressive. On Match Day, they learned that their dream residency had been fulfilled. So, what’s the key to Residents Medical success? This unique organization has a sphere of influence that targets Graduate Medical Education (GME). This year, many professional aspirations came to pass for Residents Medical roster. In addition to these students and candidates achieving residency training through NRMP Match Days, many candidates also received invitations for a residency slot before the main match in the Pre-Match. For example, Dr. Dande was a candidate who worked hard to complete a tenure at an Icahn School of Medicine at Mount Sinai’s affiliated research program. As a result, she was invited for an interview and selected in a sought after, exclusive Pre-Match position. Dr. Kumar, among dozens of other Residents Medical candidates, also successfully obtained residency on “Match Day.” He came to Residents Medical and completed a rigorous candidacy rehabilitation program, which mitigated his United States Medical Licensing Examination (USMLE) failed test attempts. He proved himself to Residents Medical and to the residency program leadership and achieved his dream residency in North Carolina. Dr. Akshay, a graduate from a medical school in Nepal, developed his acumen with Residents Medical and achieved his dream residency though the SOAP Match into a top university program in Alabama. Many of Residents Medical candidates will continue to be invited for interviews and obtain a prized residency slot through September of 2018. This exclusive approach is Residents Medical cohesion with The Everest Foundation, a non-profit 501(c)(3), which gives their cohorts a chance to become Everest Scholars and to integrate into a residency program to prove themselves worthy of a residency position. Some of Residents Medical candidates have also gone on to achieve their dream fellowship after residency. Dr. Amir completed his pathology residency at UC Davis and is now doing his fellowship at Geffen School of Medicine of UCLA. Dr. Shawn completed his general surgery residency in New York and has started his fellowship at Harvard. Residents Medical is an innovative organization with a sphere of influence in medical education. After preparation, education and a qualification process, its candidates are nominated for The Everest Foundation’s “Everest Scholars” tenure, and they’re matched into accredited medical residency programs for research and other CV-building procurements. If they prove themselves, they’re given interviews for a coveted Accreditation Council for Graduate Medical Education (ACGME) residency position. Visit: http://residentsmedical.com/ or call 310-444-9700.